I must say that I look so forward to posting on Fridays because of Unity's Friends With Flair and I love hopping to each of your blogs for more beautiful Unity/Ippity inspiration :) Thank you friends! I am soooo in love with this stamp! Anyone concur? This is adorable, Pryn! Love the sweet sentiment and stars! Wonderful design! Hugs! Awww, love your card! I am also in love with that stamp, one I will use over and over! What a great card to give to a significant other! I'm so bad at guy cards! I LOVE yours! I concur! Your card took my breath away...seriously...love it! What a cute card! Love the color combo! Wow, this is fab! 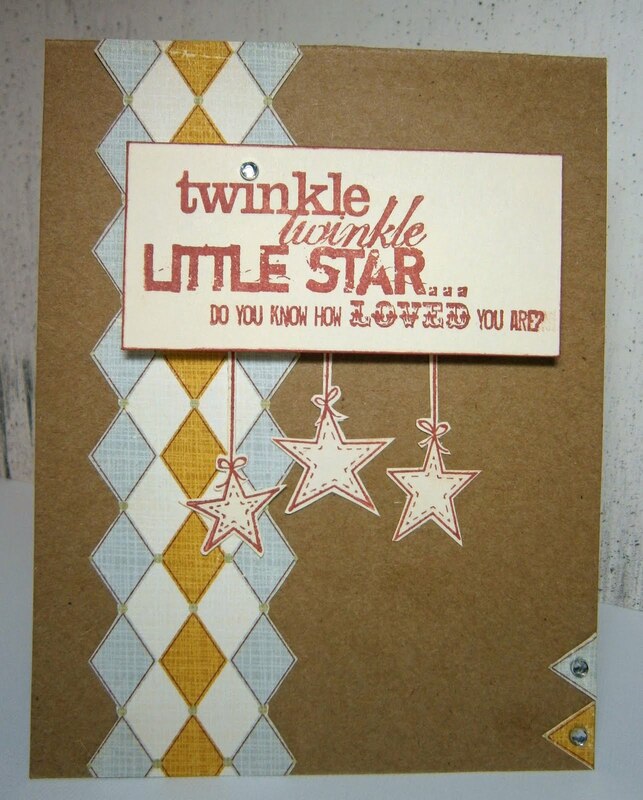 Great pattern on that paper and I adore that itty bitty. Lovely card. Oh Pryn, this is such a lovely card!! Love the colour combo and the stamp images are gorgeous. Great job!! Have a great weekend! love this card. btw~ your blog is very eye catching!